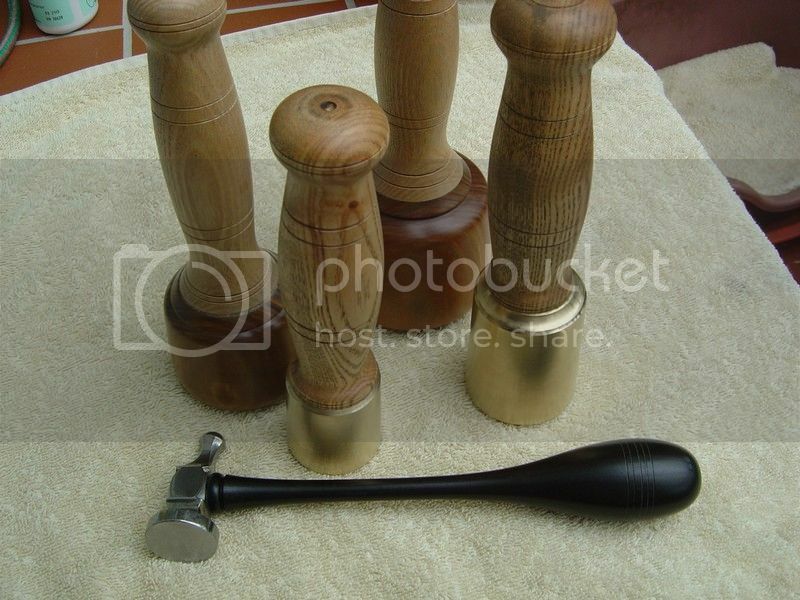 Evening all, I have found some photos of some mallets and a hammer shaft I made a month or so back, I did not take photos of them getting made but thought the finished items might be of intrest. 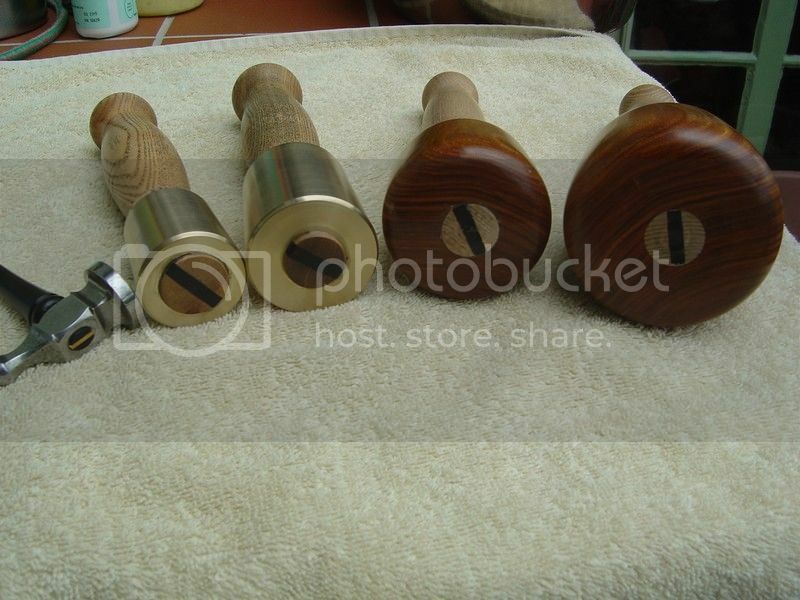 The group consists of two lignum vitae wood carvers mallets one bigger than the other with ash handles and ebony wedges, two brass headed stone carving mallets again one bigger than the other with ash handles and ebony wedges. The final one is a metal working repousse or chasing hammer, I had the head lying around for years and have made the shaft in an old traditional style from ebony with a boxwood wedge, the head looks good quality and is probably quite old I have buffed it up so is good as new. 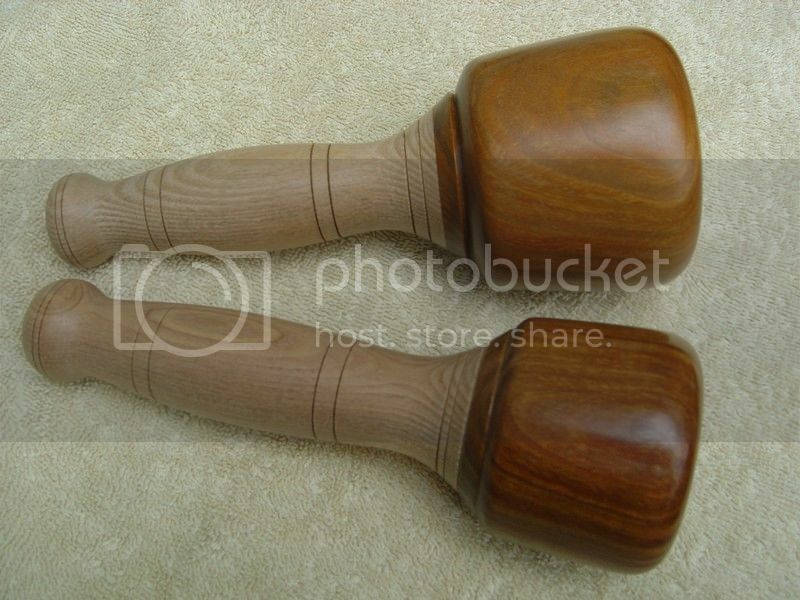 The wood carving mallets, large one about three and a half inches diameter head , small about two and a half inch head. 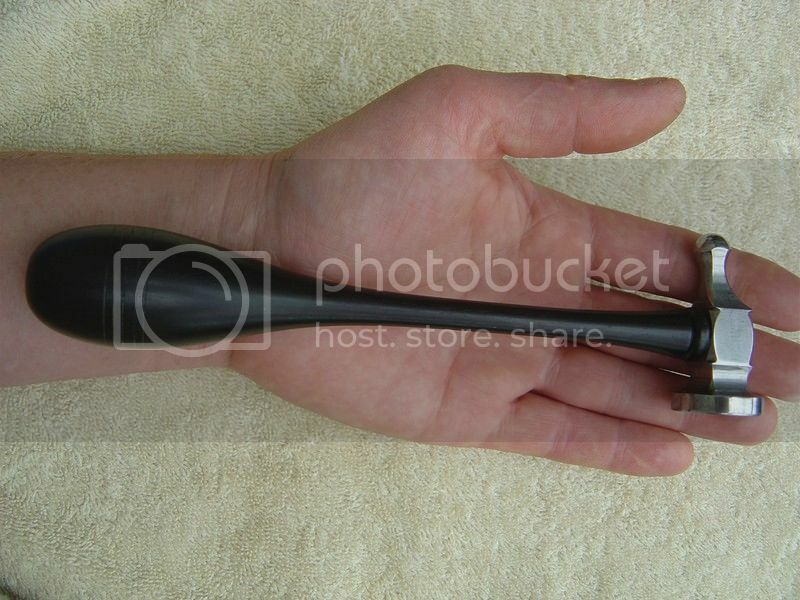 The repousse hammer, in my hand to give some idea of size, the slender stem is so the hammer has some spring in it as it is used to repeatedly tap punches lightly. I am not that keen on wood (wood burning stove and patern making) is the only use i have for it. 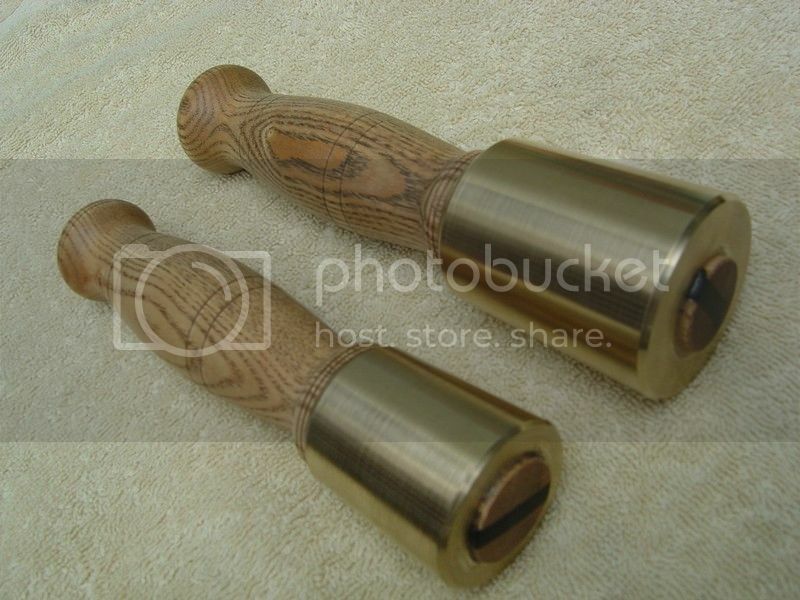 Hi Lads just bumped this to the top as Arbilst had mentioned a brass mallet in my last post , I thought I might have posted some ages ago and I must have, so here they are. Nice Mick, thanks for posting. Now I must make my own when my lathe is set up!